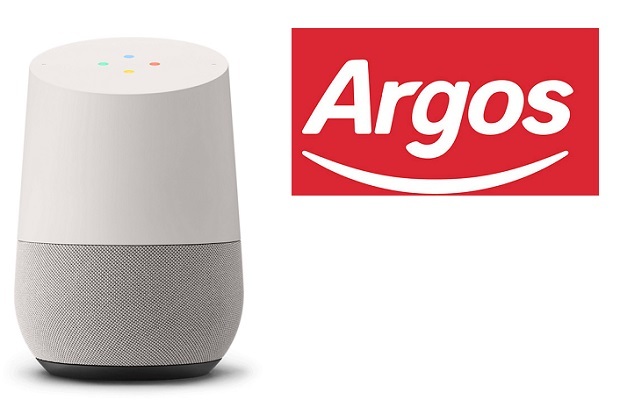 Entries from Digital Intelligence tagged with "argos"
Big retailers are using top Christmas product lists to help supercharge their festive SEO strategies, according to new research. John Lewis offers the best UK consumer mobile shopping experience, closely followed by Argos and Expedia, according to new research. Argos has apologised after customers trying to take up pre-Christmas discounts could not access the retailer’s website due to it being out of action for much of yesterday. Customers across the country took to social media account to complain about being unable to access the Argos site. Argos is taking on Amazon with a same-day home delivery service for the UK ahead of the Christmas rush, provided customers pay an extra fee. The latest IMRG Top 50 Retailer Ranking, in partnership with comScore, reveals there were a number of online retailers climbing the ranks during November 2014. Ticketmaster UK and Screwfix were both up 8 places compared with the same month last year, while Very and House of Fraser rose 6 places. However, the biggest riser this time was Notonthehighstreet.com, which soared 21 places to 27th place. Argos has invested over £10m in a rebrand campaign to “get people to sit up and take notice”, showcasing the retailer’s transformation into a digital shopping experience. eBay and Argos have extended their Click & Collect partenership, allowing eBay shopper to collect their purchases from 650 UK stores. Most Twitter users now follow a brand on the social network- but what drives real engagement with customers on a social network. This infographic from Twitter looks at why people follow brands and identifies major opportunity gaps waiting to be filled by brands that can develop engaging accounts. Argos has opened a new office in London, dubbed a ‘digital hub’, as the retailer continues its efforts to expand into digital. Argos is trialing a six new shops where tablet computers will replace the retailer's trademark laminated catalogues, in a test of what it claims could be ‘the store of the future’. eBay has bought Shutl, a UK-based marketplace that uses a network of couriers to deliver local goods the same day, as the online marketplace looks to improve its delivery options to compete with Amazon. Ebay has forged a ‘click and collect’ deal with Argos, allowing customers to collect selected purchases from the online marketplace at the high street retail chain. Argos is expecting internet sales to make up three quarters of its sales by 2016, as sales both online and instore continue to rise at the high street retailer. Debenhams, Expedia and Argos have come out on top when it comes to mobile commerce, according to a new usability study. Amazon UK has been relegated to fourth position in the cooking appliances sector, as Argos soars ahead, according to new data. Cyber Monday set a new online retail record this week, as UK consumers made 112 million visits to retail websites on Monday 3rd December, a 32% rise on 2011. The study, from Experian, found that Amazon, eBay and Argos claimed 30 per cent of all retail visits, and consumers spent 8 minutes and 12 seconds per online retail visit on Monday. Argos is to scale back its iconic catalogue in favour of a focus on online retailer, as the home shopping retailer looks to reverse two years of falling sales. The new initiative will see Argos launch a new digital catalogue by Christmas while the circulation of the print version will be cut as part of an internet push. Stores will be kitted out with internet access and Wi-Fi, with a fast-track collection service and customer service for orders. Argos is to start selling ads on is online store, as well as via its iconic print catalogue and instore, as the retailer looks to capitalise on its high UK consumer reach. The retailer, owned by Home Retail Group has partnered will target brands already associated with the Argos name, which it calls ‘complementary brands’.